The city of San Luis Obispo calls it "heavy" and "monolithic." Some locals described it as "handsome" and "beautiful." Another said it's "awful." GRAY AREA The SLO City Council will decide on Oct. 3 whether Stalwork Inc. has to repaint its new office building to a lighter color scheme. 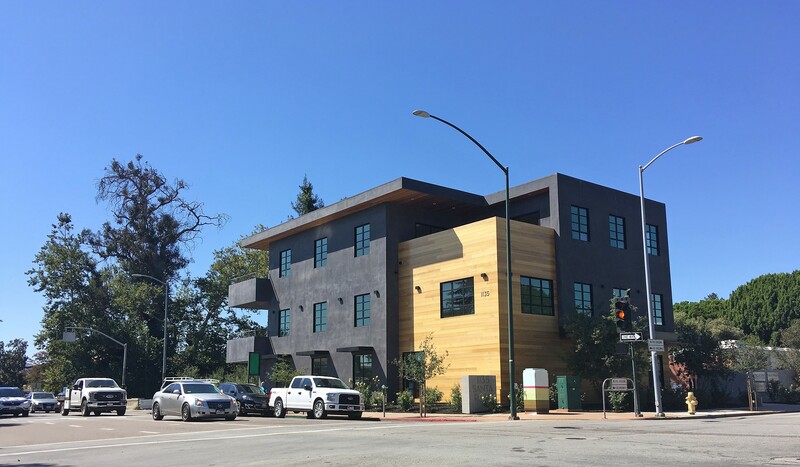 Construction firm Stalwork Inc.'s new downtown office building on the corner of Santa Rosa and Marsh streets has made a big splash in the community since its unveiling earlier this year. Painted a dark gray color with wood wall accents, the three-story structure replaced the shuttered Heritage Oaks Bank and has elicited a range of reactions. "What an improvement to the Santa Rosa corridor and a very beautiful and welcome change from the typical mission/Mediterranean buildings," local attorney Susan Thompson wrote in an email to Stalwork, one of dozens praising the building published in an upcoming City Council agenda packet. Resident Judy Jones wasn't such a fan. 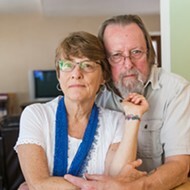 "I have so detested the color on the building," she said at a recent SLO Architectural Review Commission (ARC) meeting. "It stands out terribly with all the other buildings around it. It's just awful." SLO city officials have their own view of it—that Stalwork skirted the city's conditions of approval by altering the color (and some of the design features) required for the building. The ARC in 2015 wanted a lighter, two-color scheme to "lessen the perceived massiveness of the building as a whole," according to a city staff report. The city also requested installation of a cut-stone bulkhead along the Marsh Street side—which isn't there. "The approved design and colors were changed without approval," the city report states. "The new color scheme results in a building that is perceptibly heavier and more massive." In May, after the building was completed, SLO hit Stalwork with a notice of violation and demanded compliance. Stalwork brought the issue back to the ARC on Sept. 11, asking for a revision of its prior conditions, which the ARC denied. 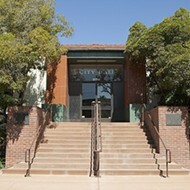 Stalwork has appealed that decision to the SLO City Council, which will make a decision on the building on Oct. 3. Stalwork representative Ben Kulick, who didn't return requests for comment from New Times before press time, argued to city officials that the building, as is, complies with the community design guidelines that all development has to adhere to. "It's not about like or dislike. ... I completely agree that I've heard people don't like this building and I've heard people like this building," Kulick told the ARC. "We feel very strongly that if you read the guidelines, that building also fits the guidelines. This is the process to ask for a modification." 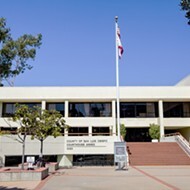 SLO city staff disputed Kulick's interpretation of the situation. "This isn't the normal process for requesting a modification to building color. The owner's decision to apply a different color ... could ultimately make the owner subject to daily fines if it is not corrected," city planner Tyler Corey wrote in an email to New Times. "Now, the City Council has the option to approve the color as applied, require the building to be painted to the previously approved colors, or to approve a different color scheme." 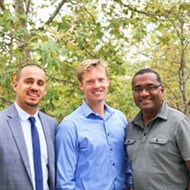 Micah Smith, a local architect, advocated to the ARC for preserving a fair and transparent process for vetting all projects.